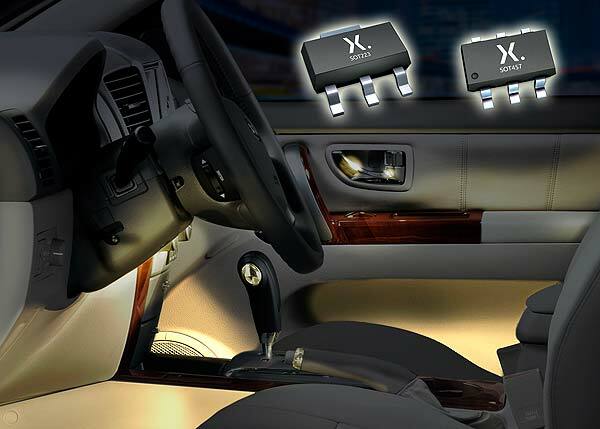 Nexperia, the global leader in discretes, logic and MOSFET devices, today extended its constant current LED driver family with eight new AEC-Q101 qualified devices to drive low- and medium-power LEDs up to 250mA. The 16 V NCR32xx and 40 V NCR42xx series are available in two package styles, the space-saving SOT457 (SC-74) and the SOT223 (SC-73), a slightly-larger option which delivers a higher-power capability of up to 1250 mW. The new LED drivers feature an accurate, stabilized output current of 10 mA without an external resistor; if an external resistor is used then the output current is adjustable up to 250 mA. Voltage overhead is low at 1.4 V. For extra ruggedness, the junction temperature of the drivers is 150 °C. These new LED drivers are serving Nexperia’s primary market Automotive and will increase its already extensive portfolio of AEC-Q101 qualified parts. More information on the new constant current LED drivers, including product specs and datasheets is available at www.nexperia.com/led-driver.